Since Disney acquired the rights to Marvel back in 2009, the studio has unlimited access to a large backlog of untapped properties. One of those properties is Guardians of the Galaxy, which eventually became one of the highest grossing films of the year. Guardians of the Galaxy was already pegged as one of Disney and Marvel’s riskiest gambles ever since it was announced. But seeing as it has become a box office smash, Disney will of course ride that wave for as long as they can. Since their popularity has grown, the studio announced today that they would be releasing an animated TV series. Much of what we have seen has come in the form of promotional images, but now we are getting our first look at actual footage. Hit the jump to check it out. 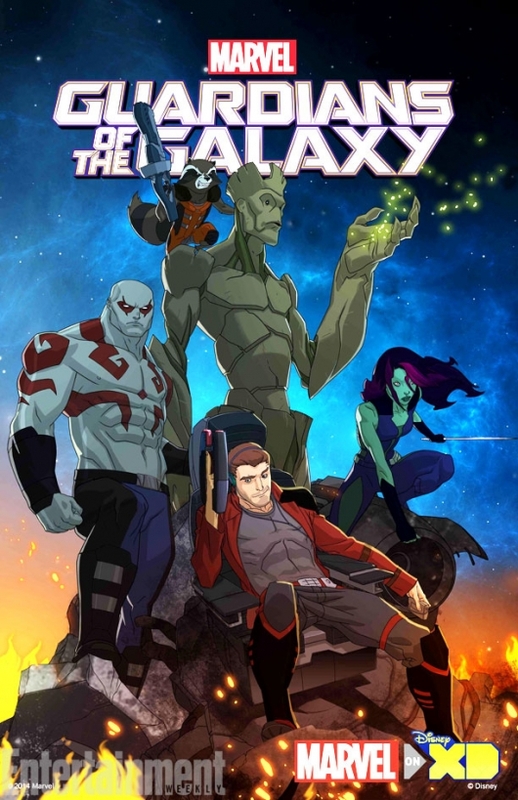 It must be exciting to see Guardians of the Galaxy get their moment to shine now that Star-Lord, Gamora, Drax the Destroyer, Groot, and Rocket Raccoon are household names. With Disney XD airing most of the Marvel content, there is even a slight chance of the properties crossing over with other shows like Avengers Assemble. 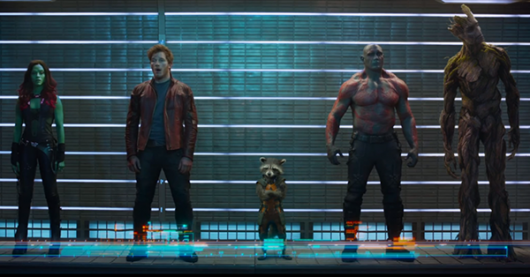 The Guardians of the Galaxy test footage that premiered earlier today over at this year’s New York Comic-Con. EW also released the series’ official poster.